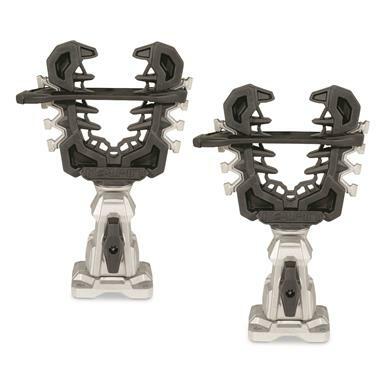 Gear-grabbing grips secure up to 50 lbs. 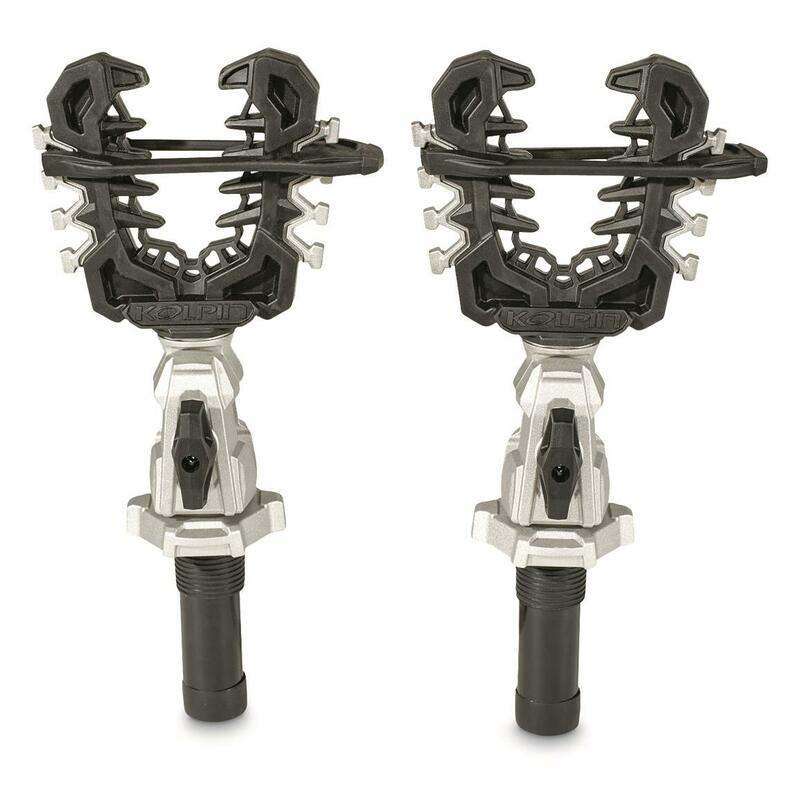 Reconfigure your ATV to hold more essential gear with a pair of Kolpin® Rhino Grip® Pro clamps. Durable cast aluminum construction has a protective rubber over-molding and design that offers functionality and unyielding strength. 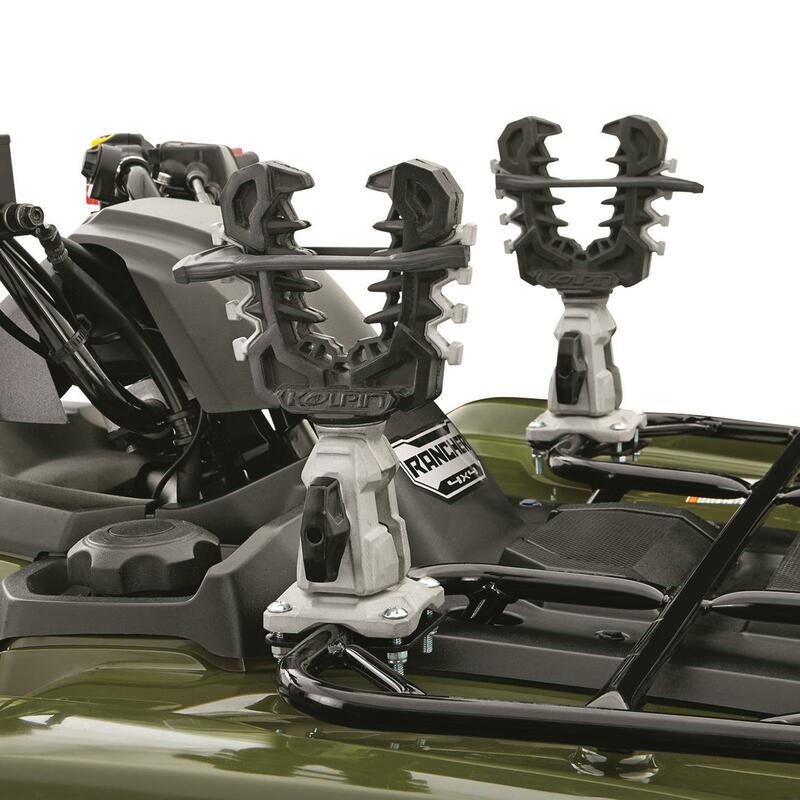 The tool-free tilting and rotating grips, along with heavy duty straps, provide plenty of options for mounting hunting, ice-fishing or ground maintenance equipment. 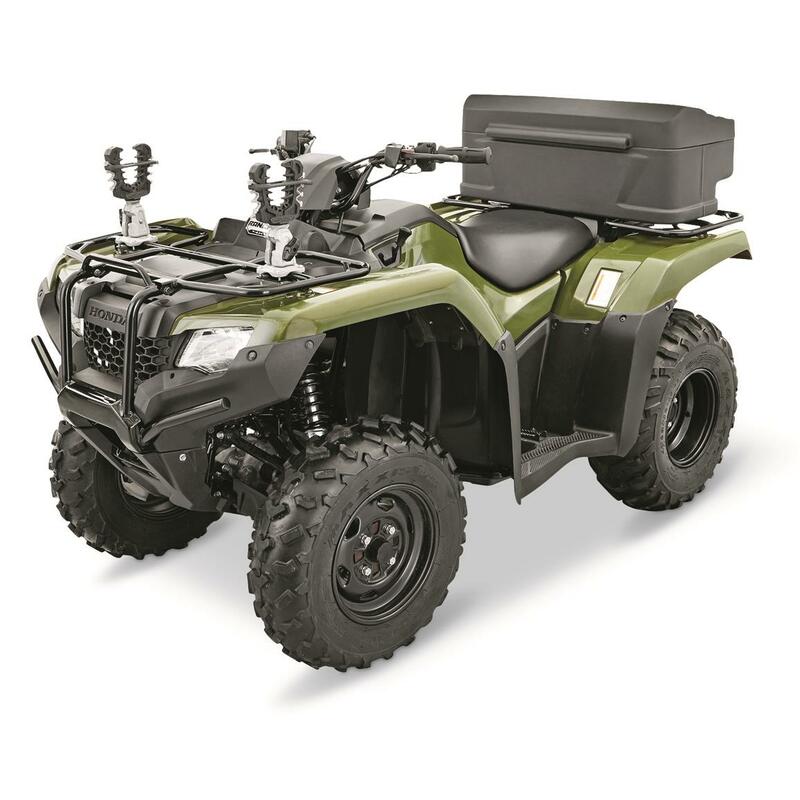 Available in Universal fit and Polaris® Lock and Ride® compatible fit. Dimensions: 7" x 14" h.
Kolpin Rhino Grip Pro, Pair is rated 4.9 out of 5 by 9. Rated 4 out of 5 by B in Utah from I would buy again, but be advised!! Product is great and very well built.I purchased for one reason and one reason only as per I was misinformed. This product WILL NOT carry a Kolpin 6.0 gun boot. I was told it would. I repeat this WILL NOT carry a gun boot. Rated 5 out of 5 by Paul from Quality made. Fair price. 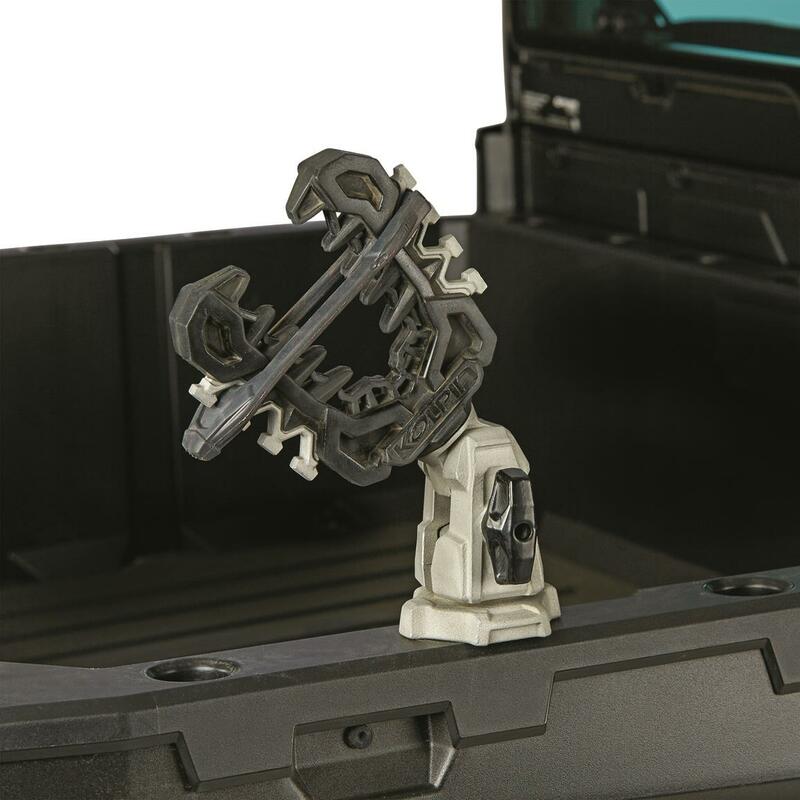 Had been looking for a product that would hold some of my work equipment, without having to pay John Deere prices. Price was fair. Quality built. Easy to fit on Gator. So far it's working well. Appears to be able to handle hard work. Will purchase another for opposite side of Gator. Rated 5 out of 5 by Chris from Well built! These are great. Fit right in the bed of my Ranger. They are very well built and strong enough to hold my pole saw! Rated 5 out of 5 by John from Very sturdy Mounts as advertised on my quad. 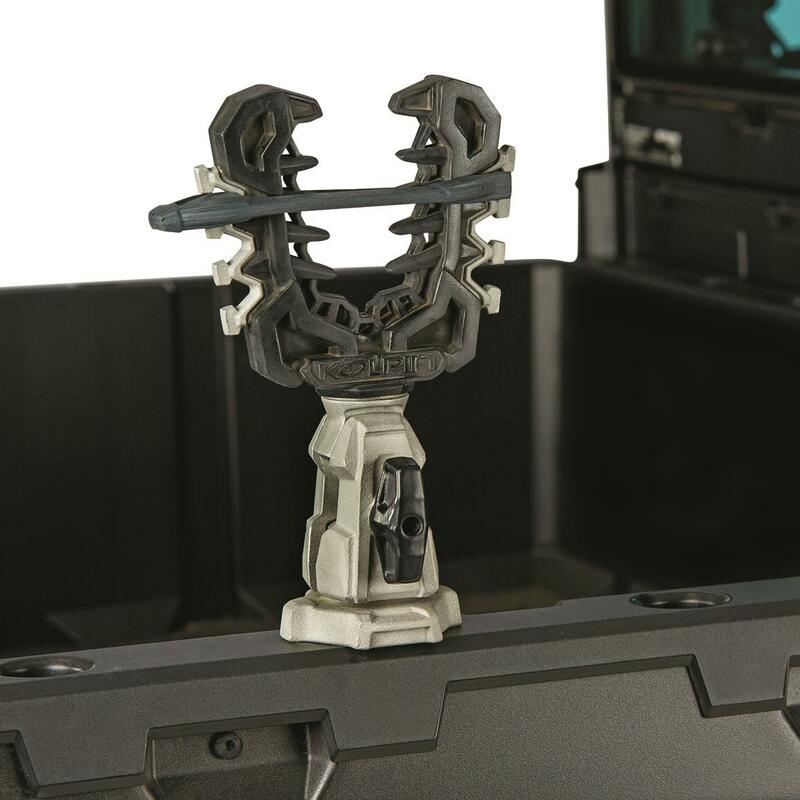 Rated 5 out of 5 by SD Gaston from Super duty the way things ought to be made! Just bought it at the 2018 Pheasant Fest Sioux Falls SD. Mounted it on a 2007 Polaris Sportsman. Will use it first for Ice Auger with a little bit of the over engineered adjustments its mounted and solid. Rated 5 out of 5 by Keg from Extremely tough product After having a gun come out and into the gravel I decided I would find a better gun holder for my cart. These Rhino grips are top of the line and I highly recommend them to anyone wanting to protect their guns. Rated 5 out of 5 by Keg from Alabama from This is a great product After having a gun fly out into the gravel because of a cheap velcro mount I decided I wanted something I didn't have to worry about and these are the ticket. Nothing cheap about these mounts!! !